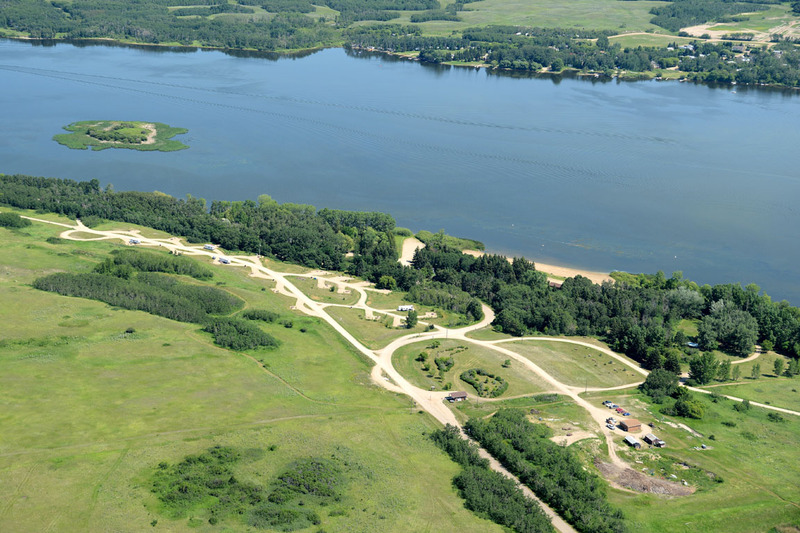 Within the rolling hills of southwestern Manitoba is Rivers Campground. 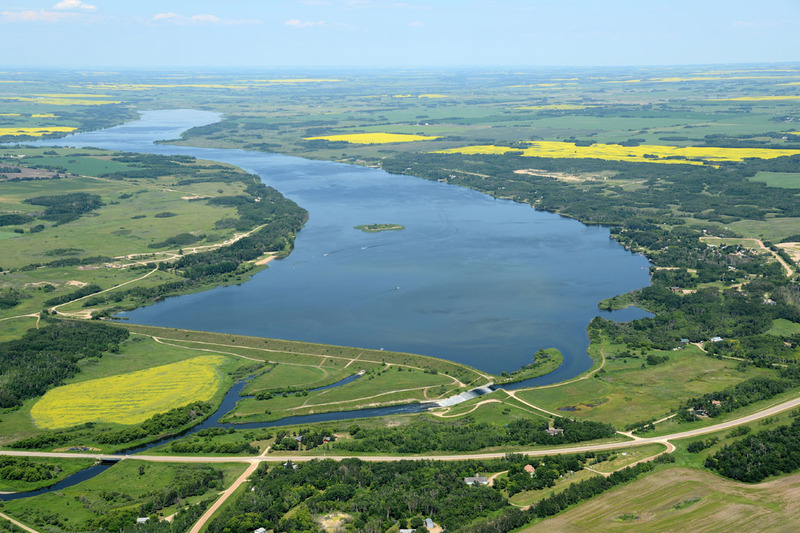 This park consists of 38 hectares of mixed grass prairie, and the campground is located on Lake Wahtopanah, a reservoir that was created by damming the Little Saskatchewan River. The name Wahtopanah is a form of a native word watopapinah meaning “canoe people. ” Rivers was named in 1908 after Sir Charles Rivers Wilson, Chair man of t he Board of Directors of the Grand Trunk Pacific Railway. Rivers Provincial Park Campground. Photo Courtesy of the Manitoba Government. More than once, transportation played a notable role in the development of the town. Rivers originally grew from a railway stop along the Canadian National Railway. Later, the airport became a hub of activity during World War II, as it was a Tri-Service airbase that trained pilots from all over the world. After your arrival at camp, have a picnic at your site, then spend the afternoon on the beach. For those families who like to spend time in the great outdoors, embark from the boat launch on Lake Wahtopanah and fish for pike, walleye and perch. A playground, beach facilities and concession are also on site. Larger groups can hold their event in the group use area of the park. 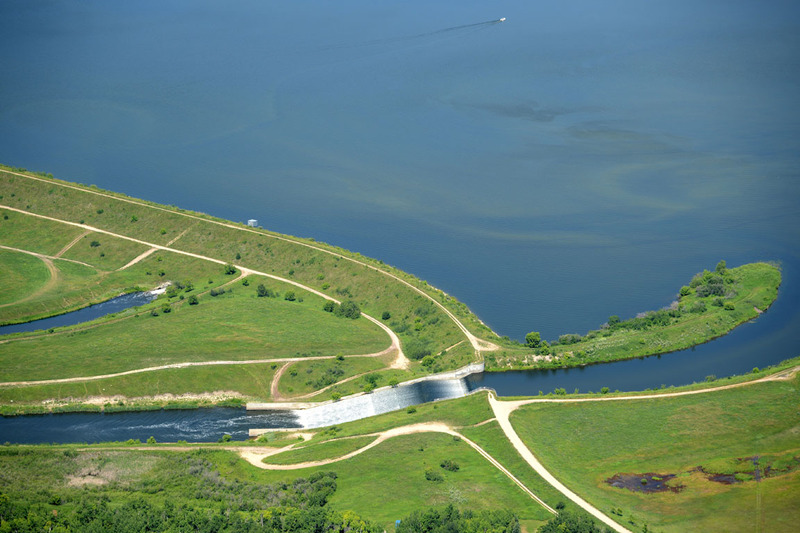 The town of Rivers is only a few kilometers away, and offers visitors access to golf, tennis, badminton, baseball, boating, fishing and other water sports. Annual events that are held in town are the Rivers Fair and Crafty Scarecrow and Ethnic Booths. During the summer, browse the Farmers Market on Wednesdays. The early pioneers whose hard work built the community are honoured at both the Clack Family Heritage Museum and the Chapman Museum. The Chapman Museum houses 16 buildings, some of them over a 100 years old, in a village setting with artifacts. The Clack Family Heritage Museum is a unique pioneer museum that boasts a collection of antique automobiles, equipment, and artifacts. More information on Rivers Campground and Rivers Provincial Park is available on request from the park office.